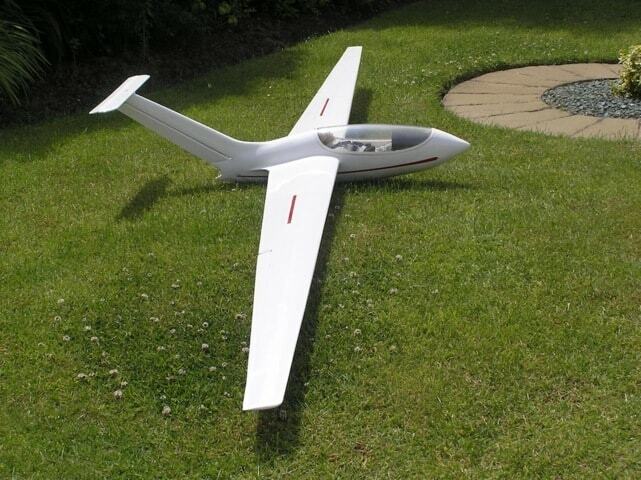 SG-1 is a 13.9m sailplane being developed in New Zealand. Vic Steel’s 1/4 scale model spans 3.5 metres and weighs just over 3 kg. With 5-functions, the construction is from all wood using traditional building methods from 2 large plan sheets, and is a superb flyer. Not for beginners.